In appreciation for more than a decade of volunteer service to the Mesa City Sports Hall of Fame as a colorful commentator of the Induction Ceremony. Allen will always be remembered for his personal touch, having witnessed firsthand many of the honored athletes compete over his tenure with Cox Cable Sports. Rusty James twice earned the Taco Bell Tough Guy Award, later renamed the Rusty James Tough Nut Award. He was named Arizona Defensive Player of the Year, All-State Nose Guard, Blue Chip All-American, and was an Academic Athlete. He played at MCC, Hawaii, and U. of Arizona. At U of A he holds the record for the most minutes in one game against Cal and twice earned the Bronco Nagurski Award and the Mary Roby Award. James was a NCAA Conference Offensive Center and 2nd Team All-American. James played in a College All-Star game in Osaka, Japan earning Offensive MVP. He continued playing football with the Arizona Rattlers earning two lineman awards and a game ball. Justin Roth is the 1994 5A State Champion in the 50 and 100 free and a 4-time All-American. Roth continued with accolades swimming at the U. of Arizona. He was a member of the PAC-10 Championship 200 free relay team, and placed in the NCAA Championship in the 200 free relay, the 400 free relay, 50 free and 100 free. He earned 2 All-American honors and an Honorable Mention All-American honor. Justin is the founder and operator of Black River Energy, a commercial electrical construction company. Jesse Udell is a 2-time 5A State Champion for 2000 and 2001. With a varsity record of 108-2 he had 61 falls and earned the 2001 USA Wrestling Honorable Mention All-American recognition. Jesse is a 1st Degree black belt in Judo and a purple belt in Brazilian Jiu Jitsu. Udell is giving back to the community as a volunteer coach for Judo, Brazilian Jiu Jitsu, and Wrestling at Southwest Training Center. Ryan Brooks is the 2002 5A Golf State Champion. He earned recognitions as the All-Tribune teams for 3 years and Arizona Junior America’s Cup team. After placing in many junior golf tournaments, he continued playing golf at University of Tulsa, OK while competing on the Amateur circuit, winning the 2007 AZ Western Champion and placing in several others. At Tulsa, Brooks placed in the top 5 at the Windon Memorial Intercollegiate in Chicago. Brooks played professionally from 2009-12 including the PGA Tour Phoenix Open. He is currently on staff at the Patriot Golf Club, in Tulsa. Matt Kelley earned 9 varsity letters at Westwood HS. 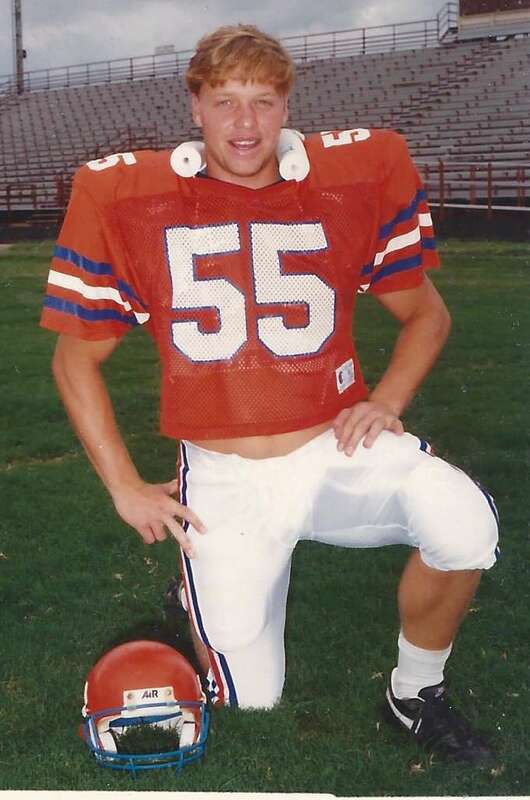 He won the 1992 Mutt Ford Award as the most outstanding athlete at Westwood. In Football, Kelley was 5A 1st team All-Conference, All-East Valley, and All-State. In Wrestling Kelley earned 2-time Region Champion, 1st Team All-State, and 1991 State Runner-up. Baseball brought more recognition with 1991 2nd Team All-Conference and 1992 1st Team All-Conference. Kelley continued football and baseball at Mesa Community College earning All-Conference honors. He continued football at University of Northern Iowa earning 2nd team All-Gateway honors, 3-year varsity letter winner, 3 Conference titles, and played in the National Semi-Finals. Sean Stapley excelled in both football and baseball. 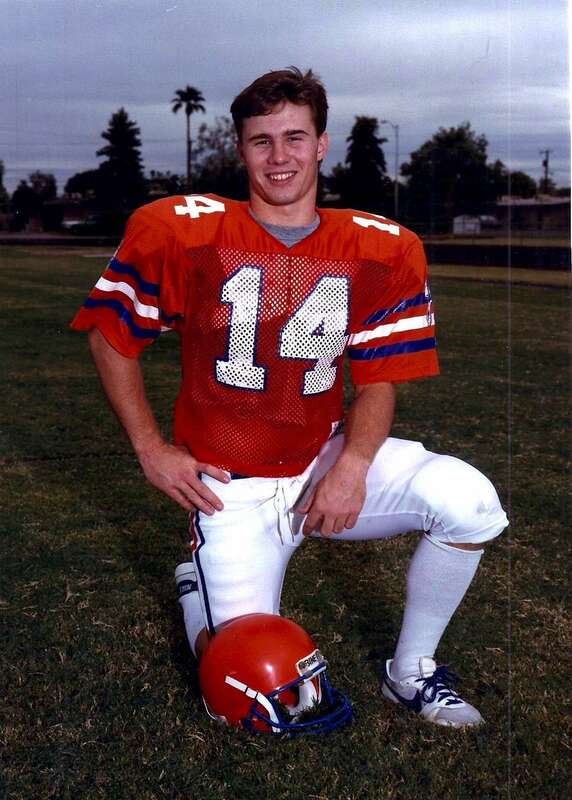 In football he was named 1987 Offensive Player of the Year, 1986 and 1987 All-East Valley, and 1987 All-State. In Baseball, Stapley was named 1987 and 1988 All-East Valley, 1987 and 1988 All-State, 1987 finalist Golden Diamond Amateur Junior Baseball Player of the Year, Collegiate Baseball Magazine Top Five High School Catchers in the Nation, and recognized as one of the 1988 Top 50 US Prep Stars for baseball. After suffering a devastating 4-shot loss to Brophy in 1994 the Red Mountain Boys Golf team was determined to win the title in 1995. The team did just that at Las Sendas Golf Course to win the first of 4 straight and 8 overall state titles. Coach Jim Jones - WWRed Mtn. Coach Jim Jones began his coaching career at Mohave High School in 1973. He also coached at Cortez High School. 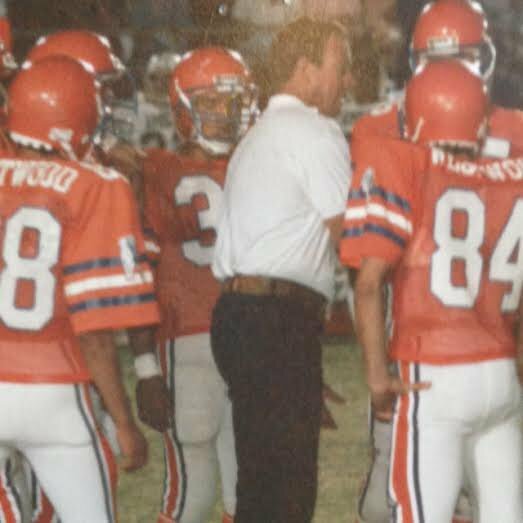 He moved to Mesa public Schools in 1981 as the assistant football coach at Westwood. He opened Red Mountain High School as their head football coach in 1988. Jones coached the Mountain Lions to back-to-back State Championships in 2000 & 2001. After Mesa Public Schools, Coach Jones was the assistant at San Tan Foothills. Jones is currently the head football coach for Mesquite High School. Junior Taylor earned 3 varsity letters in football receiving 2-time All-American, PrepStar Dream Team, PrepStar All-American, and PrepStar Super 20 All-Western Region honors. Junior was twice named All-Republic, All-Tribune, All-Informant, All-City and All-Region First-Team on both sides of the ball. He was named 2-time All-State on offense and defense, and played in the first National All-American High School Football game in Dallas. He was consistently ranked nationally in the top 20 high school football players. Taylor continued his football career at UCLA scoring a 49-yard touchdown on his first college play. He was named team captain for 2 years and MVP of multiple games ending his career in the top 15 of all stats for UCLA Wide Receivers. In 1995, the Mt. View Girls track team won the State Meet with a score of 121 points. As was written in the May 19, 1995 Republic, “When it was over, the Lady Toros stamped themselves as the greatest 5A girls team ever, winning six firsts and scoring in 12 of the 15 events en route to an all-time state 5A record 121 points. That shattered their old girls standard of 88 and also bettered any mark posted by a boys team in 84 years of competition on that level, topping the mark of 106 set by the 1990 Westwood boys team”.